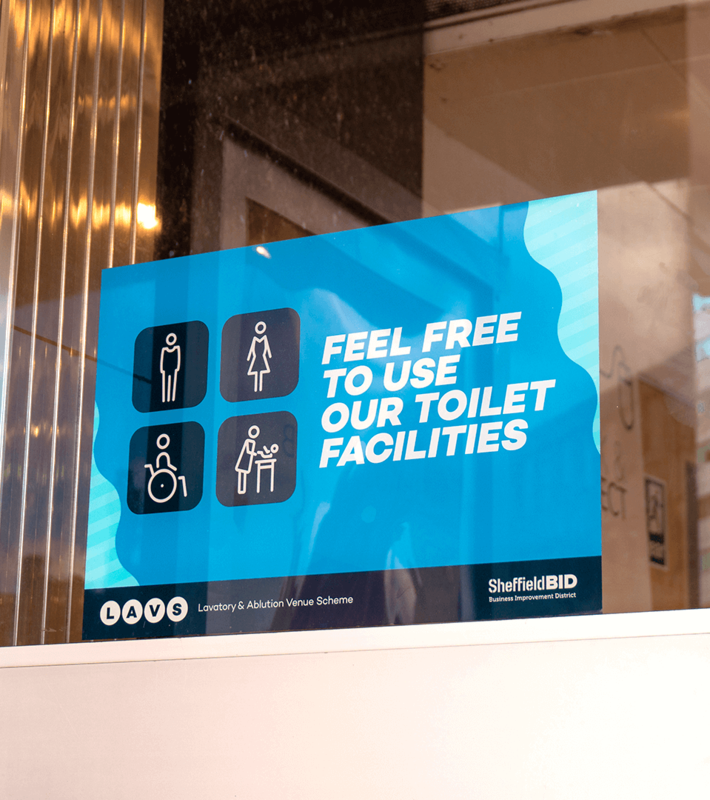 Inform the public that Sheffield City Centre retailers - through the creation of a Business Improvement District (Sheffield BID) - are combatting the closure of public toilets by allowing visitors free use of their own facilities. 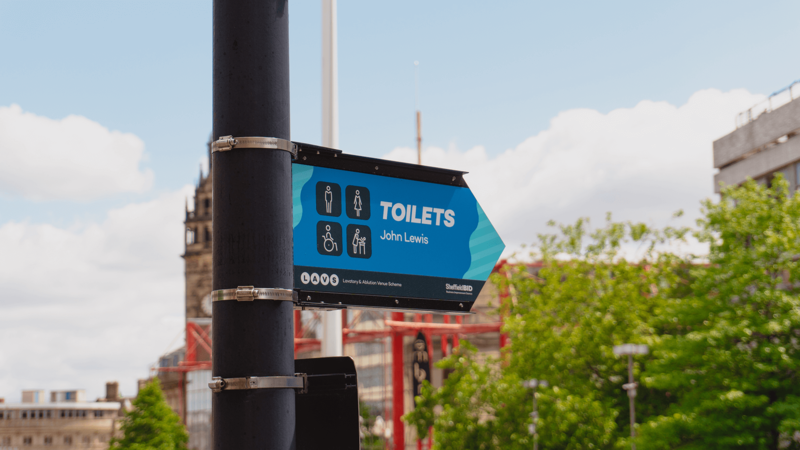 People are so familiar with the universally accepted public toilet icons there was a genuine danger any new signage or declaration of Sheffield Bid's collaborative solution would go unnoticed. 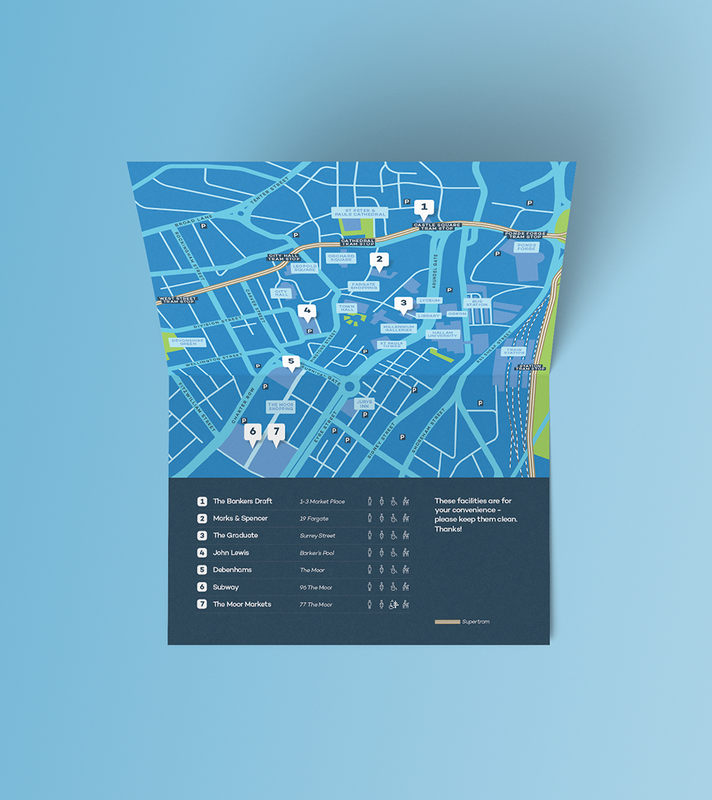 For this project to work we had to approach it in a very different manner. 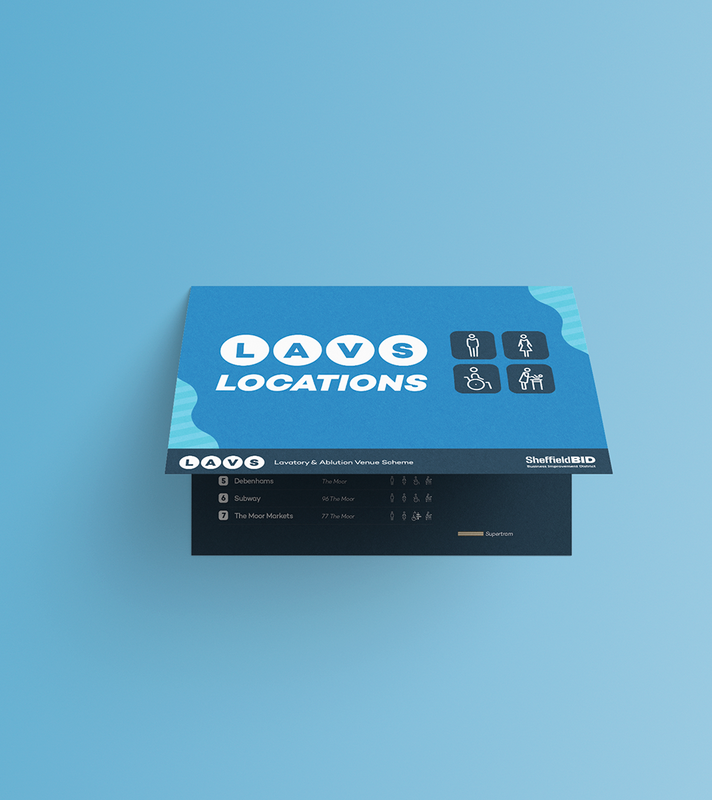 Starting from scratch we worked on potential new names, eventually settling on the purposely ridiculous (but equally memorable) Lavatory & Ablution Venue Scheme...or LAVS for short. 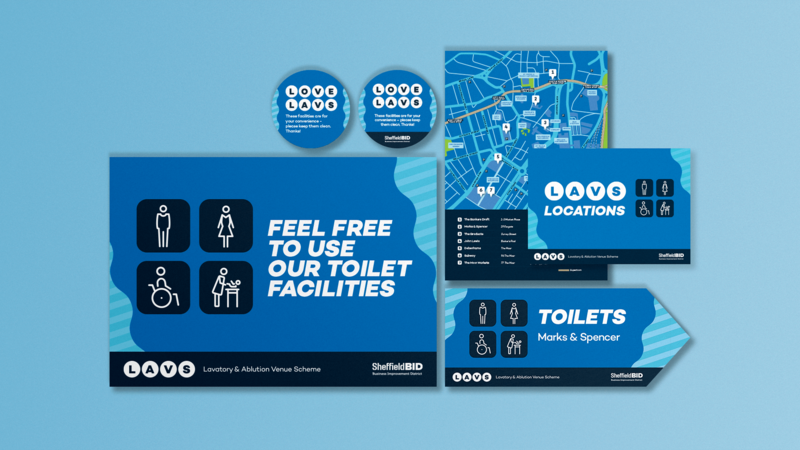 To continue our move away from 'the norm' we decided to use the Sheffield Bid brand colours to create a bold and pronounced style for LAVS. 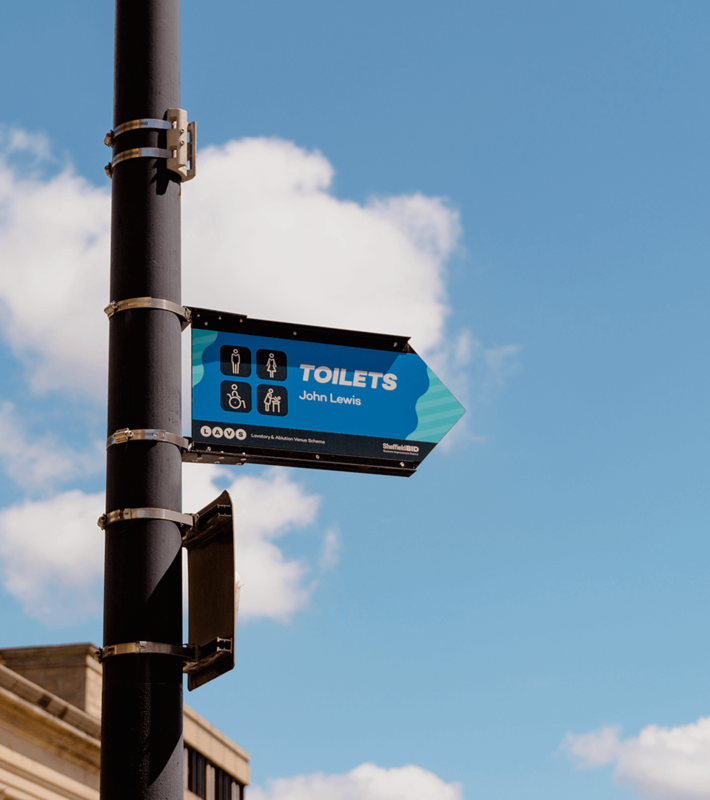 Any member of the public walking down the street would do well to walk past signage and miss both the unusual name and strong, colourful art direction. 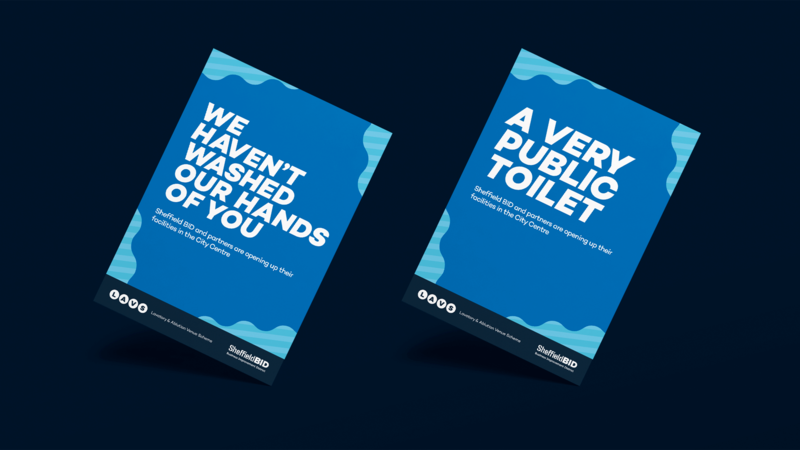 Feedback from the public has been favourable. Not only do they value the replacement facilities but they also appreciate the tone of voice and tongue-in-cheek way they've been informed. Another Do Better result for Black Eye then.